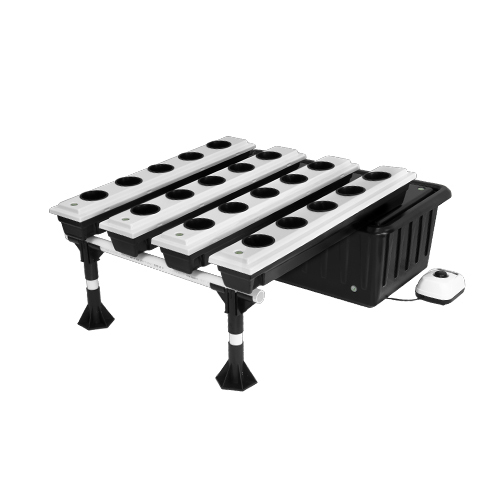 This product is the 12-site Bubble Flow Bucket system! 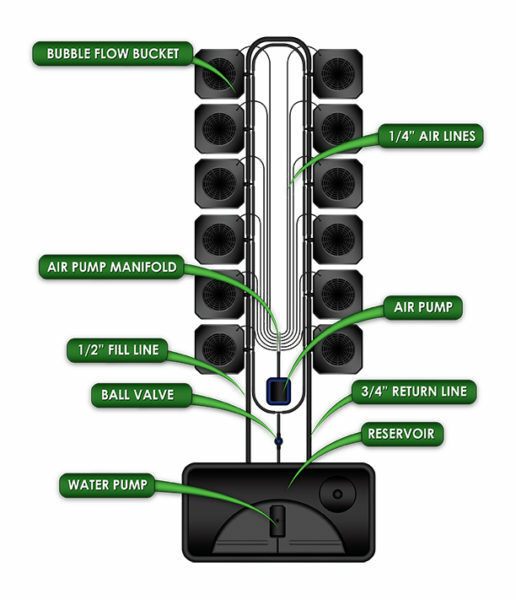 We also have a 6-site Bubble Flow Bucket system and a 24-site Bubble Flow Bucket system available. 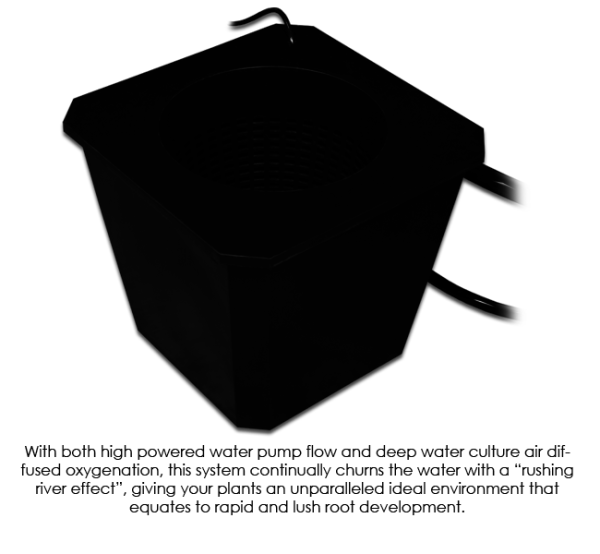 This is the Best Hydroponic Bucket System on the market. 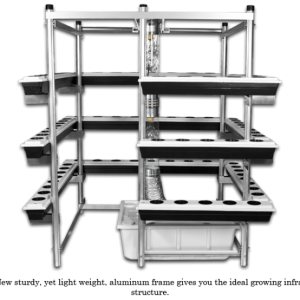 SuperCloset 12-Site Bubble Flow Buckets-Best Hydroponic Bucket System grow the biggest and best yields of any bubble buckets system on the market, because they combine the technology of bubble buckets and ebb n’ flow buckets into one fully automated, recirculating hydroponic grow system. 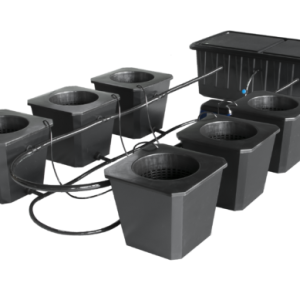 12-Site Bubble Flow Buckets-Best Hydroponic Bucket System also produce results much more quickly than comparable products due to the hyper-oxygenated environment we have created in each individual bucket. It is a regular root Jacuzzi for each plant. 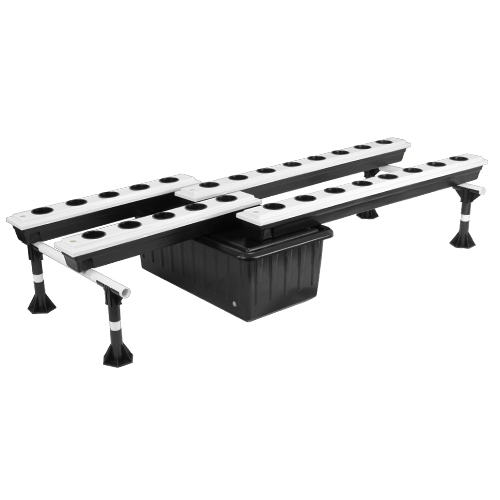 Your plants will be so pleased with their new home that they will most definitely reward you for your kindness and good decision making. 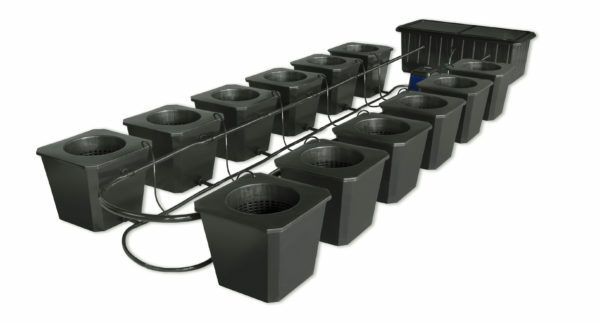 System includes 12 10″ large diameter net pots along with 12 5-gallon Up-Welling, Deep Water Culture Bubble Buckets that are basically creating the equivalent to a day of pampering at the spa for your garden. Every other bush, tree, and shrub on the planet will be green with envy at the treatment your plants receive every day. And your plants will be so grateful that they will bless you with endless bountiful harvests.